1.Right click the program or shortcut you wish to run as administrator. 3.Click the Compatibility tab at the top. 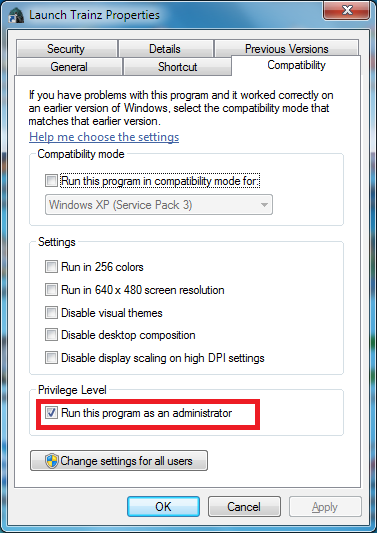 4.Find the box labelled 'run this program as an administrator' (see screenshot above), then click to place a tick.